Raju Gari Gadhi is Horror comedy Indian Telugu film. It was released in 2015. Ashwin Babu, Dhanya Balakrishna played lead roles. Chethan Cheenu, Posani Krishna, Murali Dhanraj played supporting roles. It was directed by Ohmkar and produced by Varahi Chalana Chitram. Music composed by Sai Karthik. Size Zero is romantic comedy Indian Telugu film. It was released in 2015. Arya, Anushka Shetty played lead roles. Urvashi, Prakash Raj and Sonal Chauhan played supporting roles. It was directed by Prakash Kovelamudi and produced by Prasad V Potluri. Music composed by M. M. Keeravani. 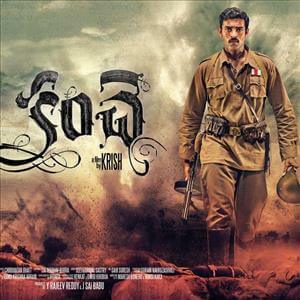 Kanche is Indian Telugu film. It was released in 2015. Varun Tej, Pragya Jaiswal, Nikitin Dheer played lead roles. Srinivas Avasarala, Gollapudi Maruti Rao and Ravi Prakash played supporting roles. It was directed by Krish and produced by Y Rajeev Reddy, J Sai Babu. Music composed by Chirantan Bhatt. 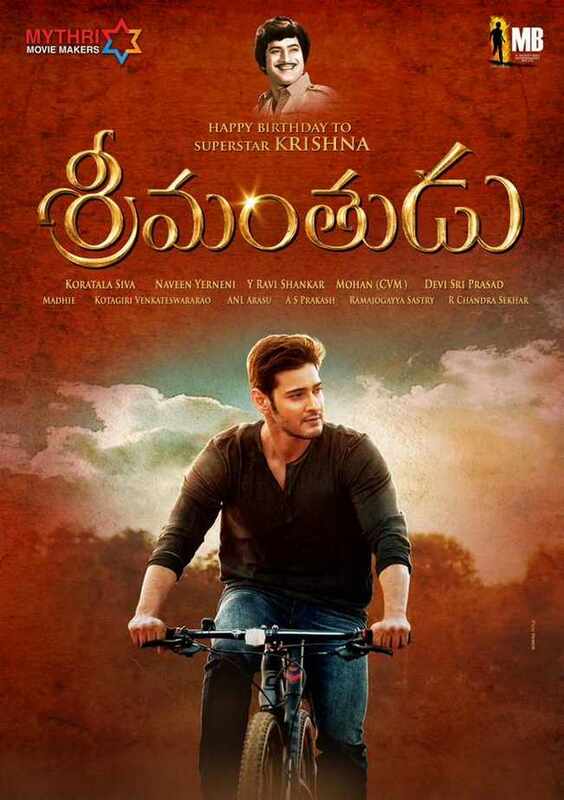 Srimanthudu is Action Drama Indian Telugu film. It was released in 2015. Mahesh Babu, Shruti Haasan played lead roles. Rajendra Prasad, Jagapathi Babu played supporting roles. It was directed by Koratala Siva and produced by Y Naveen, Y Ravi Shankar, CV Mohan and Mahesh Babu. Music composed by Devi Sri Prasad. Gopala Gopala is Drama Indian Telugu film. It was released in 2015. Venkatesh, Pawan Kalyan, Shriya Saran played lead roles. Mithun Chakraborty and Posani Krishna Murali played supporting roles. It was directed by Kishore Kumar Pardasany and produced by Daggubati Suresh Babu and Sharrath Marar. Music composed by Anoop Rubens. Bhale Bhale Magadivoy is Family Entertainer Indian Telugu film. It was released in 2015. Nani, Lavanya Tripathi played lead roles. Murali Sharma and Naresh played supporting roles. It was directed by Maruthi Dasari and produced by V. Vamsi Krishna Reddy, Pramod Uppalapati, Bunny Vasu.